a quick and easy way to seal off any area. crack and the webbing won't separate. can build a gate to your specs. 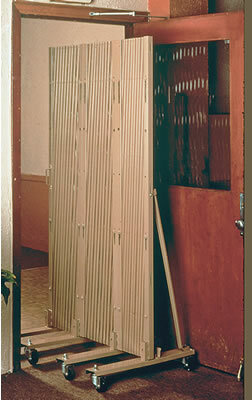 Affix Portable Security Gates to posts to control access in open areas without doorways. to go through any doorway. integral part of any safe, secure environment. simply unlock the locking bar and roll away out of sight! Gates roll easily on 3 rubber casters.